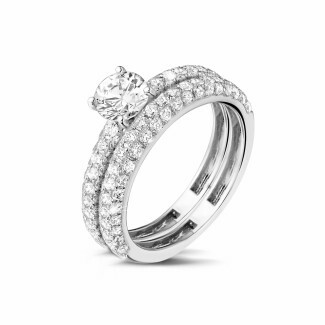 Are you looking for a ring set with diamonds? Fully set, half set or something in between? 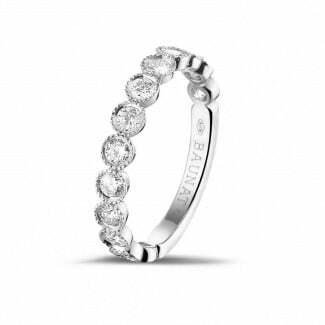 At BAUNAT, you are sure to find the eternity ring of your dreams. But what is the meaning behind an eternity ring is and why are they perfect as wedding rings? Keep reading to find out! On this page you will also discover the various designs you can choose from, and which different metals are used to create your perfect eternity ring. Or have you already made your choice? What is the meaning behind the eternity ring? An eternity ring is a ring that is fully set or half set (or something in between!) with small diamonds. 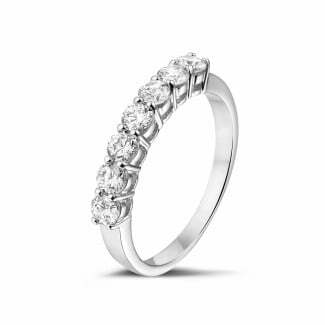 The name ‘eternity ring’ comes from the characteristic and unending row of diamonds set in your ring band. Because this row of diamonds has no start or end, the eternity ring might just be the ultimate symbol of love. 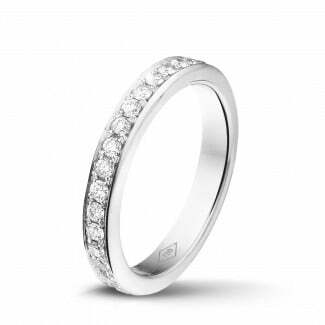 Choosing an eternity ring is saying that the love between you and your partner is eternal. That is why eternity wedding rings are becoming highly popular. They also exude luxury with their abundance of small diamonds, regardless of which precious metal you choose and whether you opt for a full or half set eternity ring. Which different eternity ring designs exist? 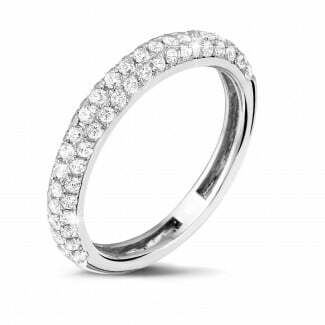 As we have seen, an eternity ring can be fully set or half set with diamonds, although three quarters is also possible. Keep in mind that the size of a fully set eternity ring is very difficult to adjust. So please be careful when measuring your ring size. When in doubt, ask the BAUNAT experts for advice. Different designs are, for example, a wide eternity ring, or an eternity ring where the diamonds are on the side of the ring band. It is also possible to opt for a more artistic and unique design, for example the ring from our Solé collection. Or why not choose a stackable eternity ring with round and pear-shaped diamonds? And our male counterparts? 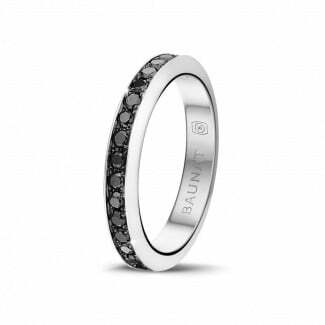 An eternity ring with black diamonds is perfect for the trendy, fashion-conscious man. In short the possibilities are endless. What if you can’t find exactly what you are looking for? Opt for our tailor made approach or request advice from the BAUNAT jewellery experts via mail, chat or telephone.